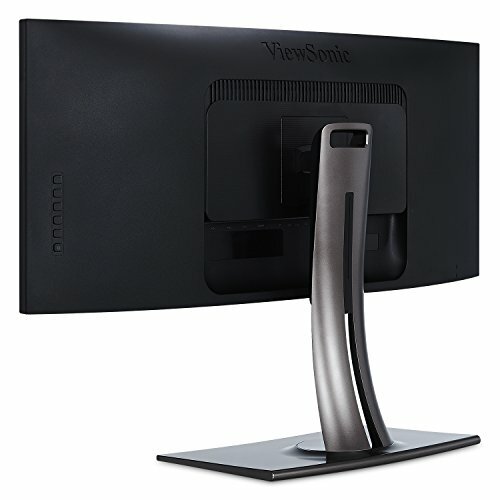 ViewSonic VP3881 Review – Shaking up the high-end super-wide 21:9 monitor segment. 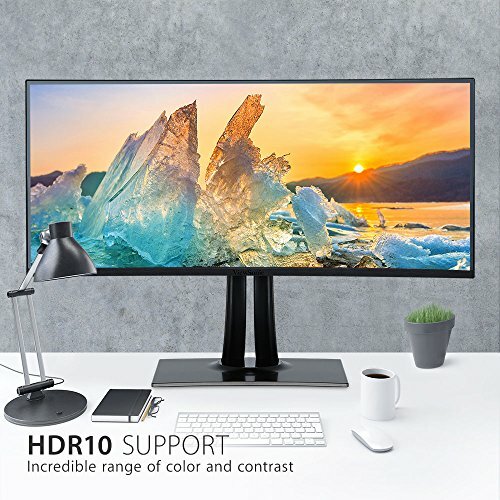 Ever since the first 21:9-aspect monitor rolled out five or so years ago, the super-wide format has been about as polarising as it gets with flat panels. Some loved it for its cinematic sizzle, others trash-talked the limited vertical resolution and consequent poor productivity proposition. Each successive generation has upped the ante in terms of vertical resolution. 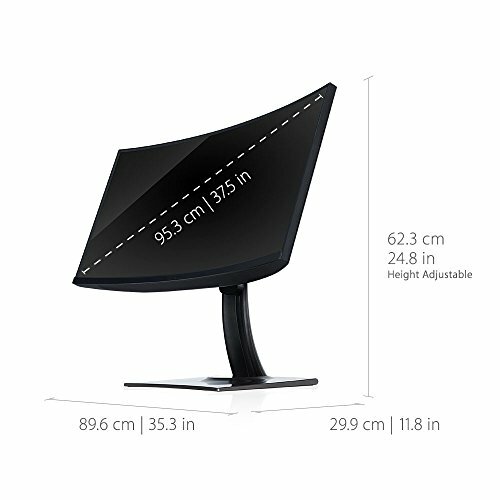 ViewSonic’s VP3881 is a 38-inch monster with no fewer than 1,600 vertical pixels. Thanks to that 21:9 aspect, the horizontal count clocks in at 3,840. 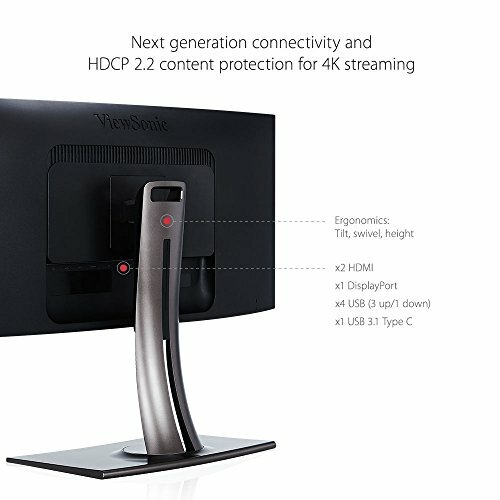 In other words, this is a 21:9 respin of the 3,840 x 2,160 standard – 4K or UHD. However you slice it. 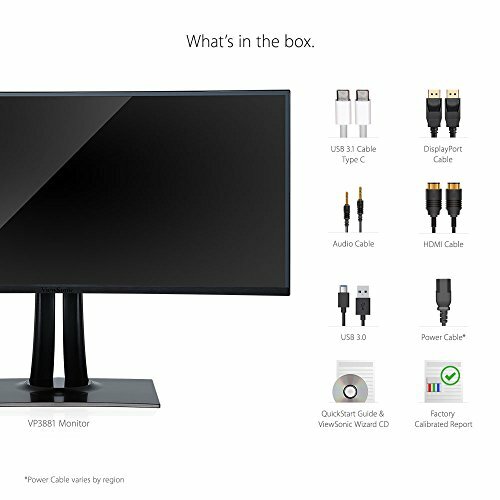 the VP3881 packs a reasonable number of vertical pixels and, in turn, productivity chops for viewing docs. With this pixel grid, it’s practical to view multiple documents side by side. Depending on your taste and comfort, as many as four is viable. Of course, the VP3881 is not novel. In many ways. LG’s 38UC99 and the VP3881 are dead ringers. 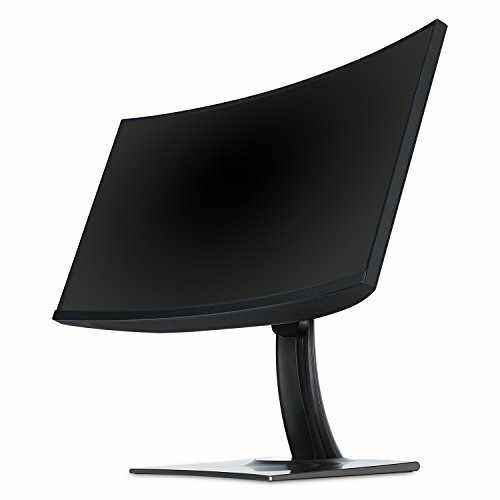 Both sport the same 38-inch (37.5-inch viewable) diagonal, 3,840 x 1,600 native res. 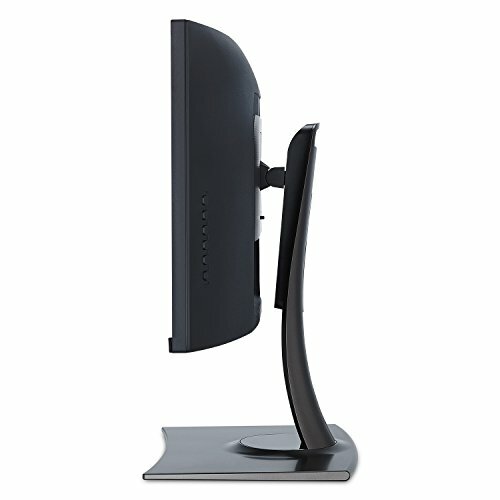 and are based on IPS panel tech. 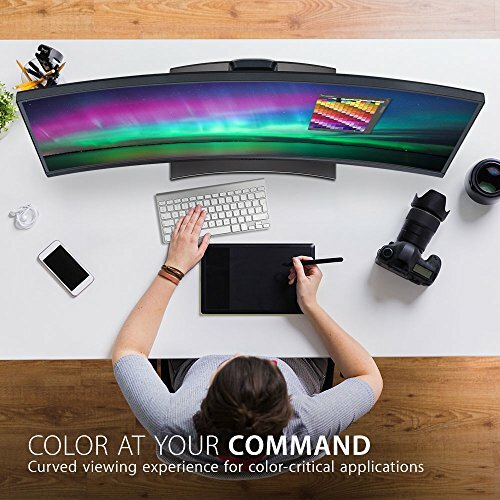 Both screens have identical 2,300mm curvature radii, and equally offer native 8-bit colour depth, with dithering up to 10-bit support. 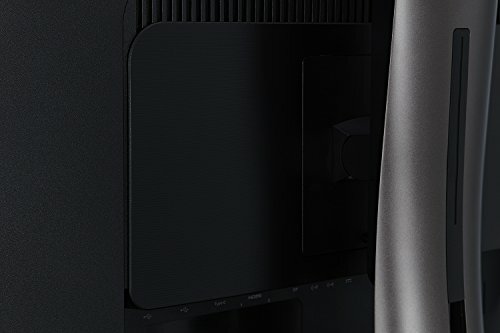 LG is one of the big players in the production of the panel itself, and we do indeed believe that it’s one and the same LG panel found in both monitors. 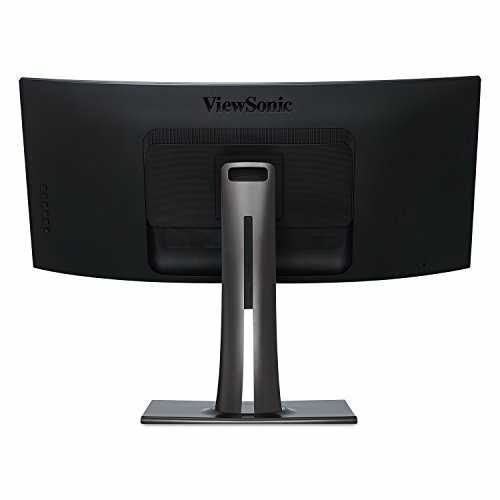 So it’s surprising to note that ViewSonic’s implementation is unambiguously superior. For starters, it offers slightly wider colour spaces. For instance, LG claims 70% of the Adobe RGB gamut, while ViewSonic ups that to just over 7S%. 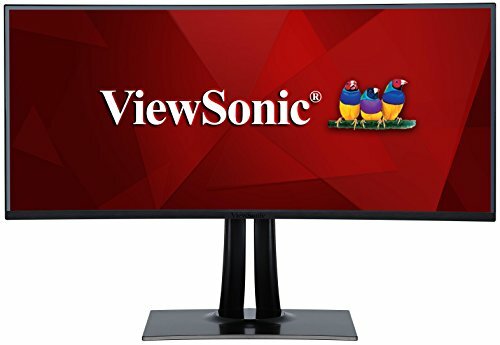 Even more significant, at first glance, is that ViewSonic is claiming HDR10 support. Dig deeper and you’ll find that refers to the ability to decode HDR10 video, rather than fully support HDR10 rendering: a glance at the spec sheet reveals a maximum brightness of 300cd/m2 – nowhere near the thousands of nits needed for true HDR playback. 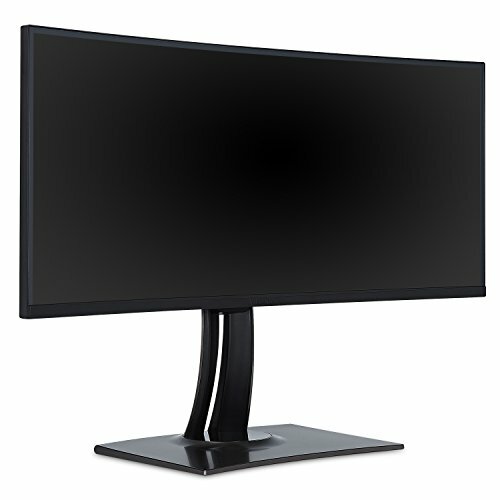 All that said, the VP3881 is noticeably more vibrant and saturated than the relatively disappointing LG 38UC99. Black levels are also superior, with less evidence of the dreaded IPS glow that blights the LG. This is impressive, given the shared panel technology. 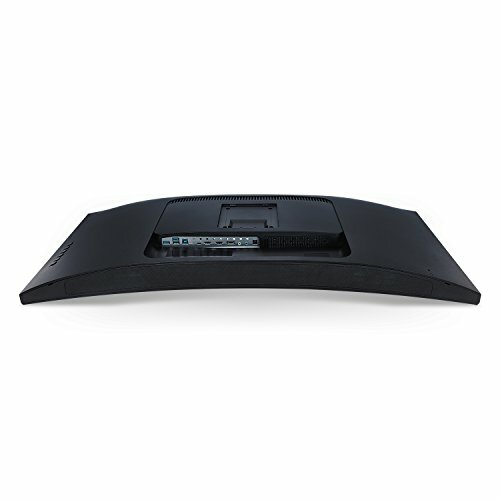 ViewSonic has also bequeathed the VP3881 a high-quality enclosure and stand, plus good electronics. 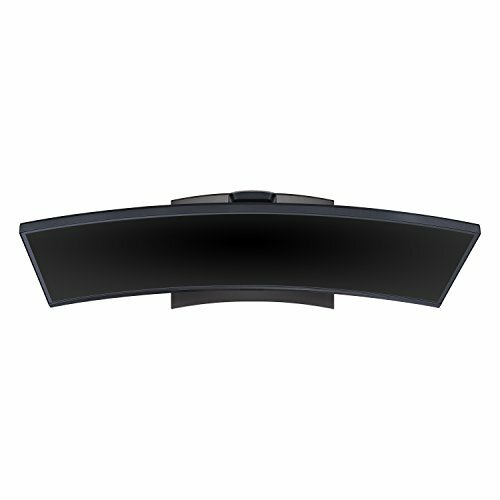 The former includes a stand with wide-angle swivel support and 100mm VESA compatibility, not to mention understated but sleek styling. As for the electronics, it’s packed with features. Admittedly, the OSD menu controls on the rear of the enclosure come with a learning curve, but after boning up, you’ll find some useful features, including a wide range of colour space presets – such as sRGB, EBU, SMPTE-C, Rec. 709, and DICOM-SIM – the ability to toggle input lag modes and multiple levels of pixel response, and much, much more. As for out-of-the box calibration, it’s good to go for all but the most discerning pros. 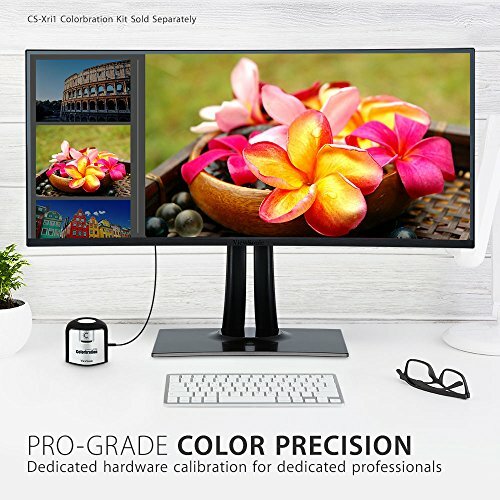 ViewSonic claims a Delta E below two for factory calibration, and all the scales and gradients look great to us, except for a little loss of detail in black tones. It ain’t cheap, and the pixel pitch is. ultimately, nothing special, but that’s an industry-wide issue for desktop screens. While not quite as punchy as a true HDR panel, this is a genuinely useful pro monitor.